*Attention Investors* This is a great opportunity and the sellers are eager to sell. This is a fixer upper and the home is being sold œAS IS. Home does have foundation damage. Blue Ridge Boulevard, East on 90th Terr., North on Manchester to address. Kansas City is located in Missouri. Kansas City, Missouri 64138 has a population of 475,378. The median household income in Kansas City, Missouri 64138 is $45,376. The median household income for the surrounding county is $46,917 compared to the national median of $53,482. The median age of people living in Kansas City 64138 is 35 years. This content last refreshed on 4/19/2019 3:29 PM. Some properties which appear for sale on this web site may subsequently have sold or may no longer be available. 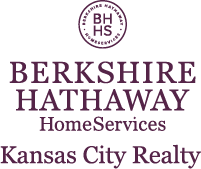 I am interested in 8914 Manchester Avenue, Kansas City, MO 64138.